The inaugural Portland Typewriter Jam has everything any typewriter aficionado could ask for! 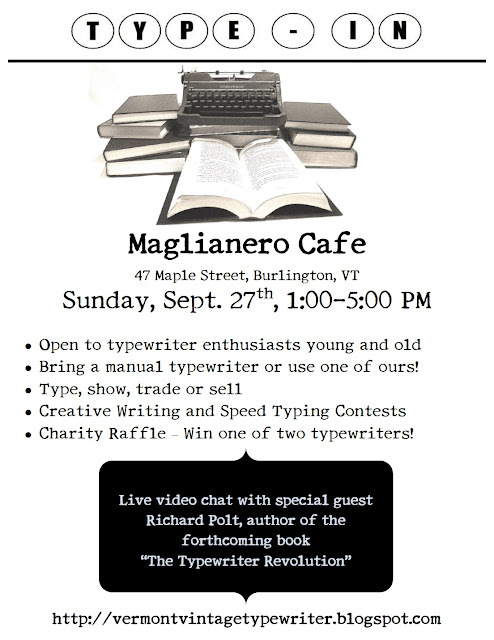 The event includes an exhibit of unique and rare typewriters, a typewriter clinic with demos for repair and cleaning and attendees walk away with their own typewriter-themed art print. FREE! 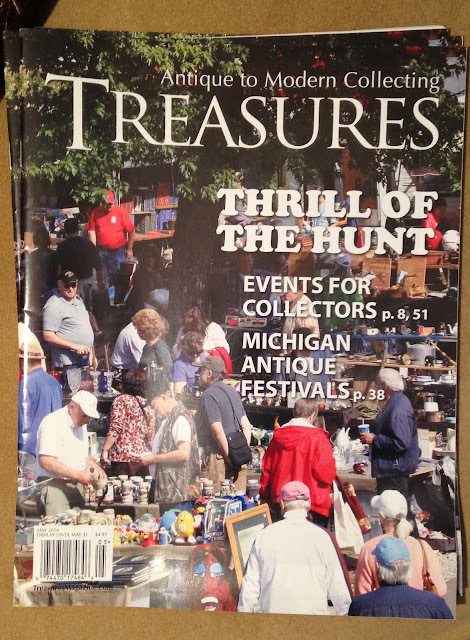 I have two copies of the May 2014 issue of Treasures magazine. It includes an article on the typewriter revival, with photos from my collection. Would you like a free copy? Email me at polt@xavier.edu. I'll update this post when they're gone.